My husband and middle son went to the advance screening of Marvel's Avengers: Age of Ultron. Tony Stark (Robert Downey Jr.) wants to create artificial intelligence (AI) and put it in his robots to help protect the planet. The AI builds his own robotic body, Ultron, and comes to the conclusion that the best way to protect the planet is to eliminate mankind. The action in the movie is almost continuous and very intense. Some of the battle scenes were especially impressive including the opening scene where the Avengers attack a Hydra base and a later scene where two of the Avengers duke it out. Like the first Avengers, the sequel has its comedic moments too. The party and the attempts to lift Thor's hammer before Ultron makes his entrance provided quite a few laughs. Unlike the first movie, Avengers: Age of Ultron sheds a softer light on some of the members. We get to see the family life of one of the heroes, and we see the challenges that two Avengers face as they discover they have feelings for one another. The best part of the movie, however, may come from someone we never see on screen. James Spader, as the voice of Ultron, does a fantastic job giving "life" to the artificial intelligence of the Avengers' ultimate foe. He goes toe to toe with the always great Downey, and makes it impossible to imagine anyone else in the role. The Avengers: Age of Ultron is all about evolution. Evolving technology, evolving relationships, and even the group itself looks like it will be evolving. By the end of the movie, some members will be gone and new ones will take their place. The next Avenger movie will definitely have a different look to it. I can't wait. And neither can my son. He really enjoyed the movie, and despite intense action scenes, he was not afraid at all during the movie. 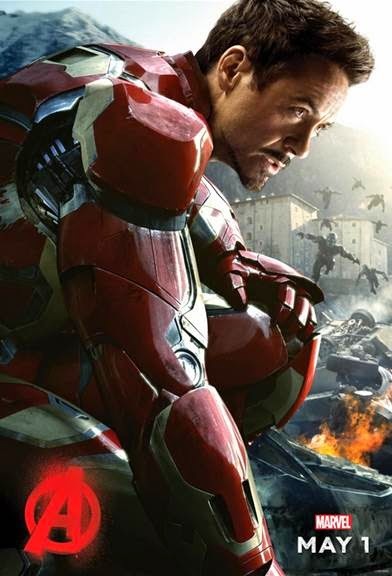 Avengers: Age of Ultron is an entertaining, action-packed film great for super hero fans of all ages. Avengers: Age of Ultron is now in theaters. Thank you to the sponsor for the complimentary admission.